The Lifestyle You've Earned! You will love living in this active 55+ community, with a 9-hole golf course, clubhouse, pool, tennis courts, fitness center, restaurant & fun community activities. 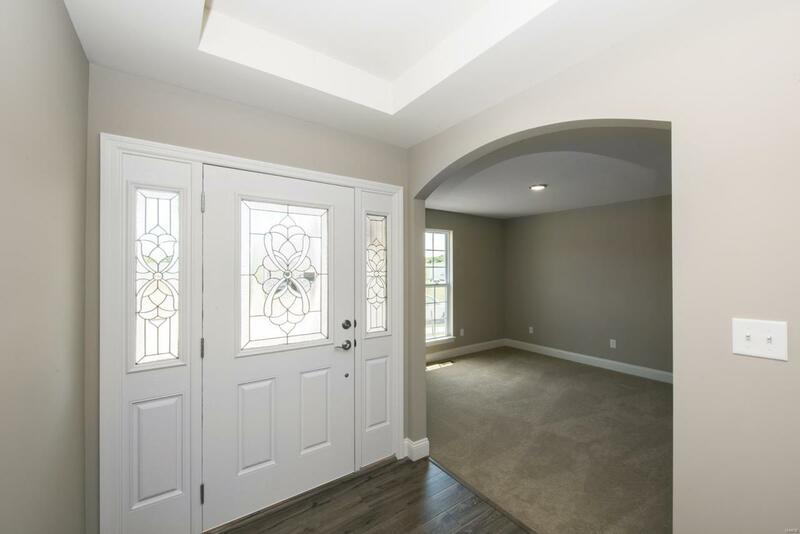 This new Lombardo-built villa features 10' ceilings, lovely wood floors & arched doorways. Gas fireplace in the great room. Handy flex room/office & powder room. 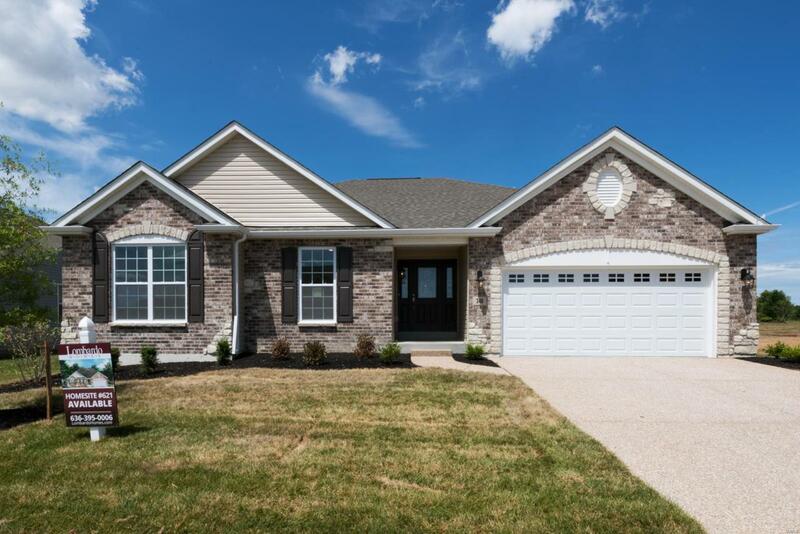 The kitchen boasts quartz counters, soft-close custom cabinets, stainless steel appliances, including a double wall oven & 5-burner gas cooktop, walk-in pantry & breakfast island. Warm natural light from the breakfast room bay & transom windows. 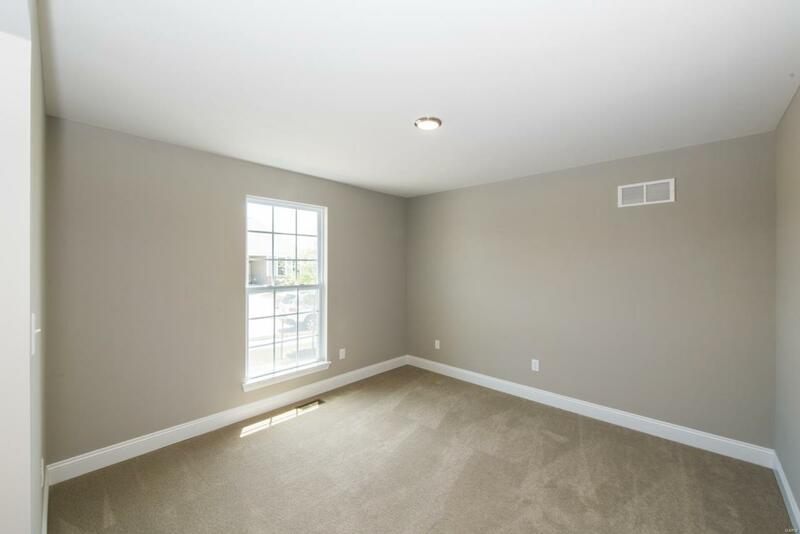 Master suite has a trey ceiling, en suite bath with a tub & seated shower & a huge walk-in closet. 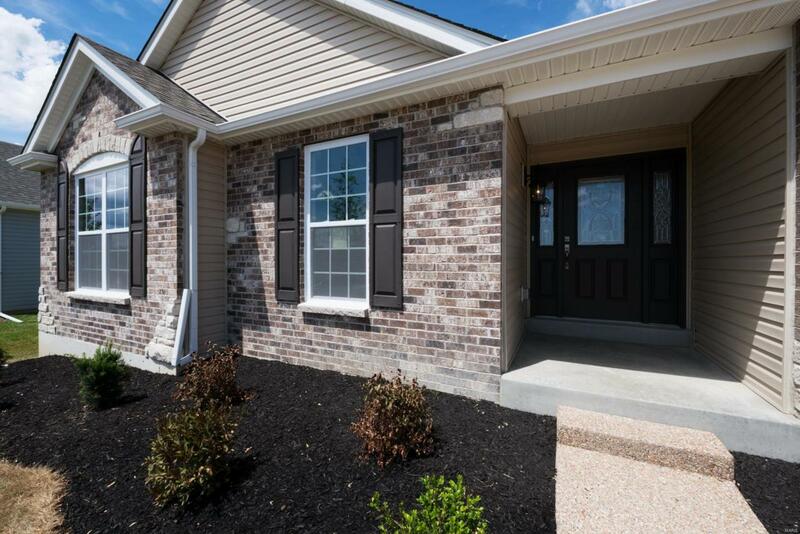 Second master with a walk-in closet & private bath. Enjoy coffee on the patio. 9' lower level pour with an egress window & roughed-in bath. HOA covers irrigated lawn & snow removal. Convenient Lake St Louis amenities nearby. Relish a relaxed lifestyle in this Lombardo Quality home. See it today!